Today my Aunt Bonnie passed over. She was one of my favorite people. Why? Because she was one of those people would had “it all” but was always able to “keep it real”. She would share her experiences about all the countries she’d visited as if she was talking about going to a movie. She had no false sense of self. She put on no airs. And she was a great grounding agent for anyone who did. She knew what was important was how we love and serve each other. 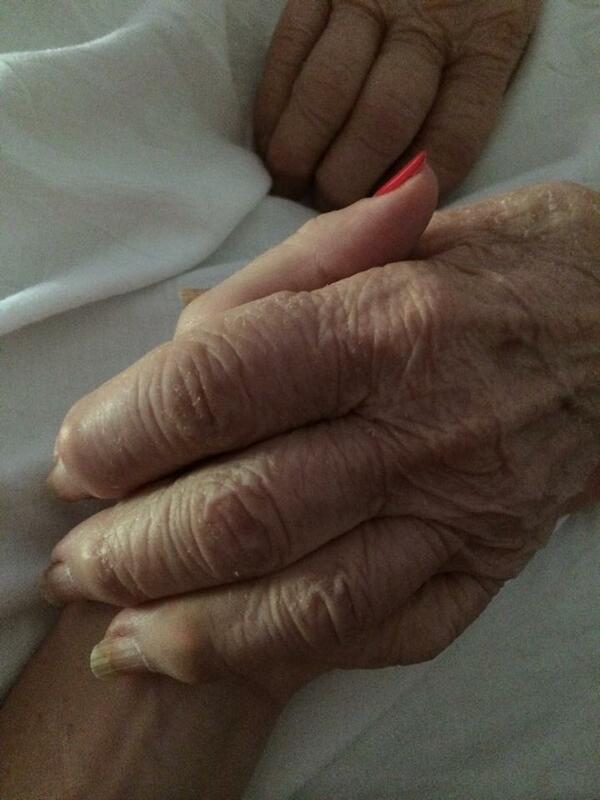 She lived a great life and had already shared with her family that she was ready to let go. I had this vision of her this morning. She was surrounded by her family here on earth as her soul ascended. She was greeted by her Spirit family as she arrived in the Spiritual realm. I saw her parents, her sister, my father, and all her beloved Boston Terriers who have been her companions for all the years I’ve known her. They were all there to greet her and she was so happy and felt such immense love and peace. As she looked back at her family, she knew they would be fine as they continue on without her presence on earth. I was awed at her sense of peace and joy at being back in her Spiritual home. It was a beautiful vision and it allowed me to stop grieving and instead be filled with joy for her. I have spent a lot of time today reflecting on the many years I’ve known Aunt Bonnie and Uncle George and the many stories we have of our families sharing events and celebrations. There are so many stories. All of them make me smile as I remember. I’ve also reflected on the memories of my father and how I miss his presence. He and Aunt Bonnie shared a special fondness for each other. They got along very well and considered themselves a part of a special clan known as “MTB’s” aka, Married to Bogumills (my mother’s siblings). They, along with the other MTB”s, were a hoot when gathered together. It was as if they had an understanding like no other because of their connection to the Bogumill family. My Dad had a very difficult childhood. He and his siblings have shared some childhood stories that made me weepy. However, for as many years as I can remember, Dad would say, “If I died today, I’d die a happy man”. It always made me smile. It usually came after a special event, or a family discussion, or just a quiet evening with his grandchildren. He seemed to purposefully want to point out that he was pleased. Dad’s statement confirmed for us that he was happy with his life and how it was progressing. He seldom ever looked back at his childhood. He stayed present and he was grateful for his life. Later, when he became ill, he reminded us that each of us will die from this lifetime and be returned back to Spirit. One day, while just he and I were chatting, he reminded me of how often he had said, “If I died today, I’d die a happy man.” He wanted to make sure I knew he still meant it. I believe Aunt Bonnie would have shared the same sentiment about her life. She seemed so happy and grateful and thankful. And I believe she died a happy human. If you died today, would you die a happy human? Take just a moment to reflect upon your life and life purpose. Have you yet made a positive impact on this planet? Did you participate in something helpful or healing to others? Do you know your life purpose? Can you truly say this has been a life well lived? If not, what are you going to change….. and when?